Rolling two six-sided dice is common in many of the most popular board games, including Monopoly, Backgammon and The Settlers of Catan. Even if you don't memorize the percentages in the chart below, it's helpful to have a general sense of how common each roll is. When it is your turn and you are two spaces away from landing on an opponent's hotel in Monopoly, this probability chart may comfort you. There's only one combination that yields a total of 2—when each die displays a 1. Likewise, there is only one combination that yields a total of 12—when each die displays a 6. They are the least likely combinations to occur. As you can see, 7 is the most common roll with two six-sided dice. You are six times more likely to roll a 7 than a 2 or a 12, which is a huge difference. 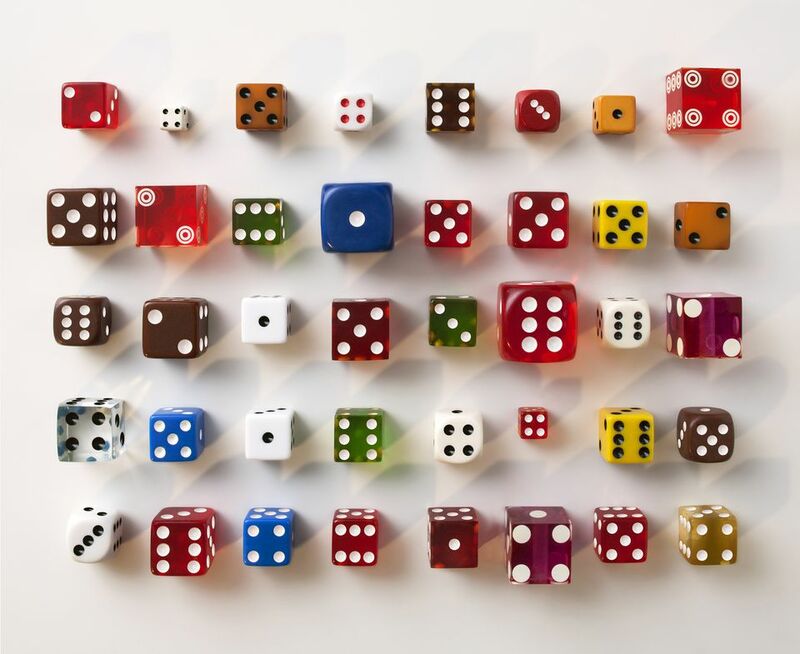 You are twice as likely to roll a 7 as you are to roll a 4 or a 10. However, it's only 1.2 times more likely that you'll roll a 7 than a 6 or an 8. Another way of looking at these numbers is that, over time, you will roll one 4 or 10 for every two 7s rolled. You'll see six 7s for every 2 or 12. Of course, dice have a bad habit of defying expectations, so don't rely on probabilities from a chart like this to work out your game strategy. You're likely to find yourself on the losing end of a game if you do.